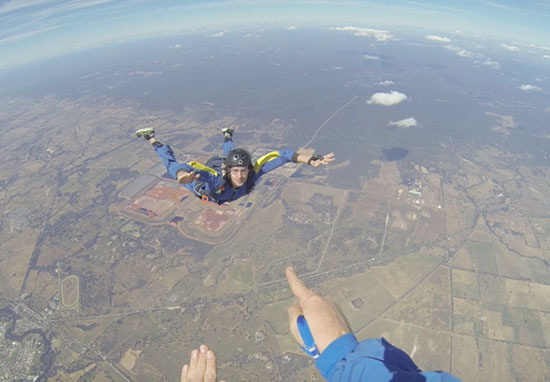 A man had a seizure during a skydiving session and while he was free falling to the ground, almost running out of time for his parachute to be manually deployed. Having a seizure in any location is a scary experience, but add in a 9000ft drop immediately below, and it becomes a whole new level of terrifying. 22-year old Christopher Jones from Perth, Australia, had this very experience. Christopher took part in a skydive in 2014, and had a seizure during the free fall which knocked him unconscious. Jones was skydiving with an instructor, who caught the whole ordeal on video. 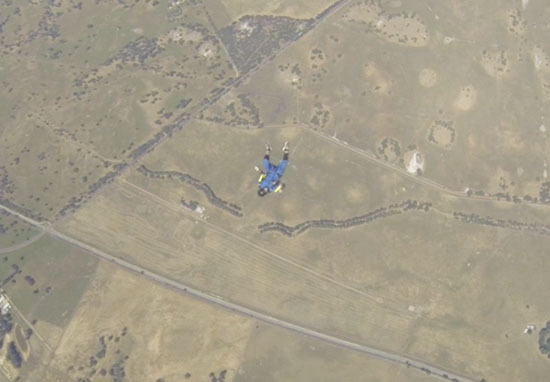 WA Skydiving Academy business manager Robin O’Neill spoke to the Australian Broadcasting Corporation about what happened during the skydive. The video shows the terrifying moment Jones rolled to his back, and lost control of his body while falling. With time running out for the parachute to be deployed manually, the instructor, Sheldon McFarlane, attempted to catch up to Jones but failed on his first attempt. Jones fell out of reach, looking scarily small in the distance. Luckily, McFarlane reached on the second attempt, and pulled his parachute cord at 4000ft. The unfortunate thrillseeker spent a total of 30 seconds in free fall while unconscious, and regained consciousness at around 3000ft. Thankfully, he had a safe landing. Christopher suffers from epilepsy, but hadn’t had a seizure for four years before the skydive. He even had a letter written from a medical specialist to specify he was ‘fit to skydive’. 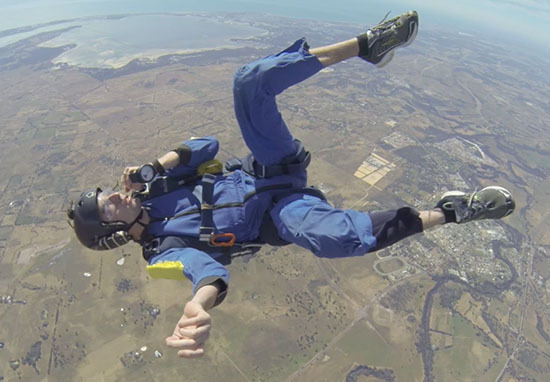 Christopher spoke to the Australian Broadcasting Corporation, explaining how his desire to go skydiving had replaced the dream of a pilot career, and talking about his disastrous skydive. I’ve always wanted to have the feeling of flight, so I just thought, considering I can’t fly a plane due to my condition, I thought I’d give it a go. I remember up until the point I blacked out and then waking up underneath the parachute at about 3,000 feet. Even as Jones fell unconscious, instructor McFarlane explained he wasn’t worried. Jones’ parachute had ‘automatic activation devices’, meaning his parachute would have deployed even if his rip cord hadn’t been pulled. Despite this, McFarlane decided to deploy Jones’ parachute manually, to make sure everything was under control. At no time was I worried he was going to hit the ground without a parachute, but given the circumstances and where we were I thought it would be better to get him under parachute earlier than later. I managed to catch him on my second attempt and deploy his parachute. There has been the odd student that has struggled to maintain a heading and you know, needed a little bit of help, but I’ve never seen anyone pass unconscious. Following the event, Christopher, unsurprisingly, said he was not planning on pursuing a career in skydiving. He described the ordeal on YouTube as ‘possibly the scariest moment’ of his life.